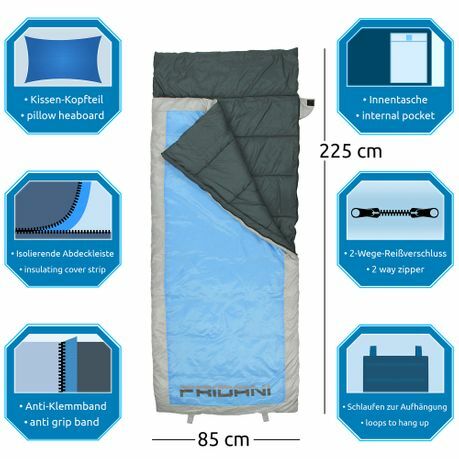 Buy Fridani QB 225S - blanket sleeping bag, 225x85cm, 1800 g, -7°C (ext), +5°C (lim), +10°C (comf) from Fridani at Camping Outdoor online. 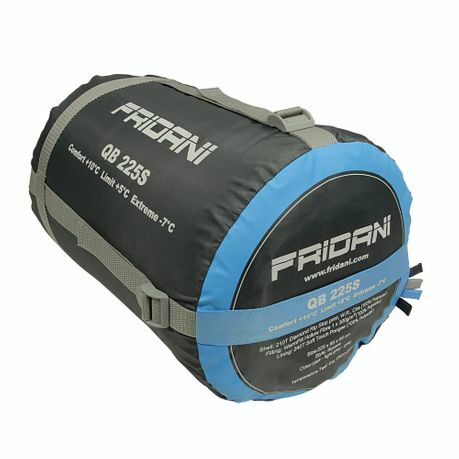 The Fridani QB 225S is a 2 to 3 seasons sleeping bag in blanket format with XL width and plenty of space. It is designed for use from mid spring to early autumn. A hard-wearing yet soft-grip rip-stop polyester protects from the outside. Inside, a breathable and very skin-friendly soft-touch pongee material is used. 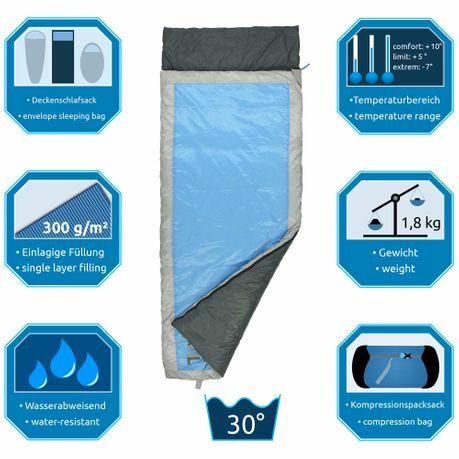 The XL blanket sleeping bag offers men, women, teenagers and teenagers 225 cm long and 85 cm wide freedom of movement. 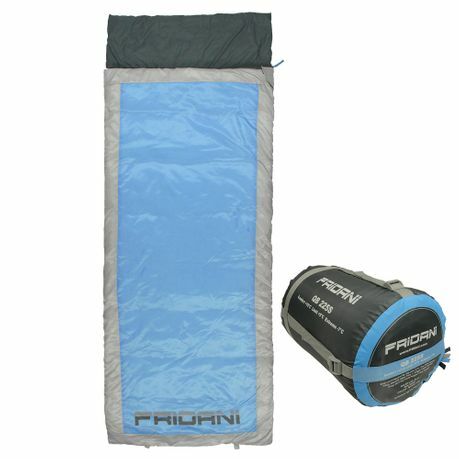 Packed in a transport bag, the sleeping bag measures Ø 25 x 45 cm and weighs 1800g. 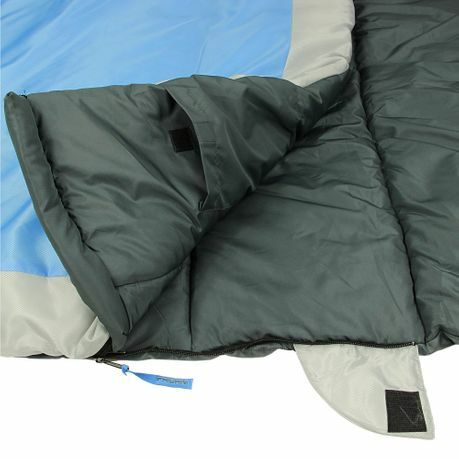 The XL sleeping bag is equipped with a zippered cover strip to prevent heat loss. In addition, the zipper is equipped with an anti-tension tape that prevents material from being trapped in the teeth of the zipper. 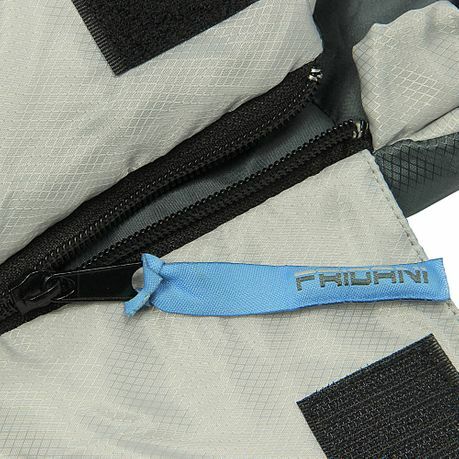 Fridani sleeping bags are equipped with an inner pocket for valuables. It also contains the sewn-in washing instructions. The sleeping bag can be fully opened sideways and in the foot area. 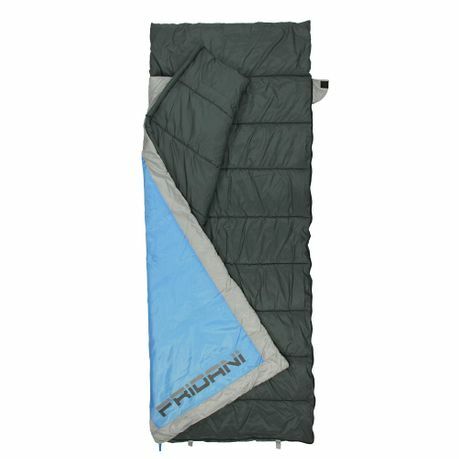 This means that the front can be opened and the complete sleeping bag can be used as a sleeping blanket or underlay.